Name : I HATE Mica the penguin! Attack 1 : I HATE HER!!!!!!!!!!!!!!!!! 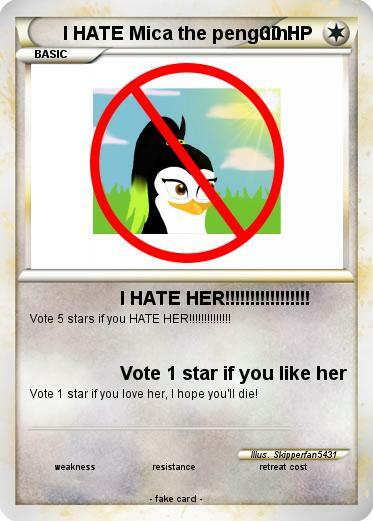 Vote 5 stars if you HATE HER!!!!!!!!!!!!!! Vote 1 star if you love her, I hope you'll die!